Home prom makeup Atlanta Prom Makeup Fundraiser - $50 Hair & Makeup - Proceeds Go To Charity! 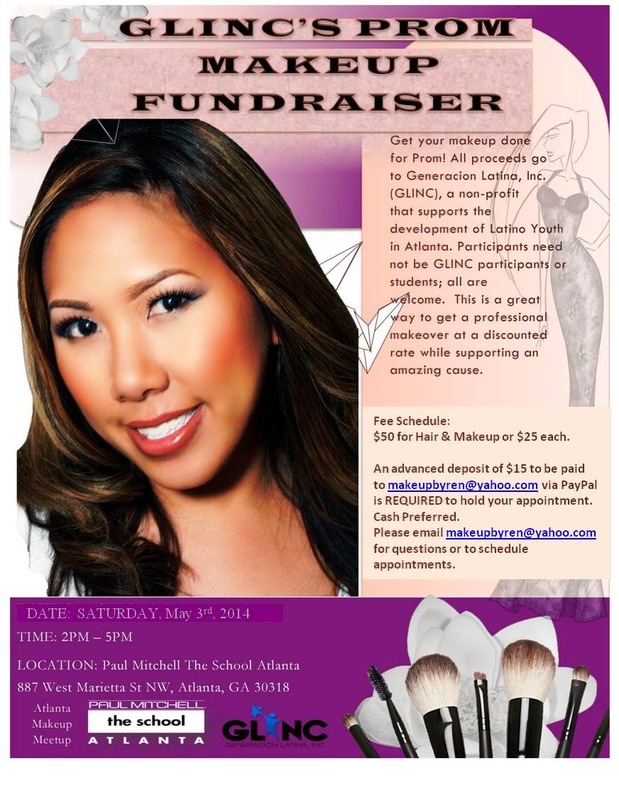 Atlanta Prom Makeup Fundraiser - $50 Hair & Makeup - Proceeds Go To Charity! I'm excited to announce a really great opportunity. I'm not only co-founder of the Atlanta Makeup Meetup group but I'm also a part of the executive board of the Non-Profit Generacion Latina, Inc or GLINC. This is an organization devoted to empowering Latino Youth in Georgia through out-of the box education during after school sessions, field trips and community service projects. The prom for Campbell high school is on May 3rd. 100% of the proceeds for the Prom Makeup will benefit GLINC in order to help us fund the programming, food for students, field trips, etc. Currently, the Executive Board runs the organization solely by donations and out of pocket expenses. I will be there along with Makeup Artists from my Meetup Group providing Makeup Services for High School students and anyone interested in getting makeup done no matter what the occasion! $50 for Hair and Makeup, what a steal! In order to book services, please pay a $15 deposit to makeupbyren@yahoo.com via PayPal - this is preferred so we can make sure we have another artist volunteers. The remaining balance will be paid at the time of service on May 3rd in CASH. Appointments will be from 2pm-5pm. Please also email makeupbyren@yahoo.com with questions or to schedule your appointments. Please spread the word to anyone in Atlanta who may want makeup and hair services on Saturday for Prom or any occasion!